Every morning this summer as I walked down the driveway of our Cape Cod Bed and Breakfast to fetch the daily newspapers, I was greeted by the sounds of construction from across the street. Our Inn is located in historic Town Hall Square just across the street from the Sandwich Town Hall. 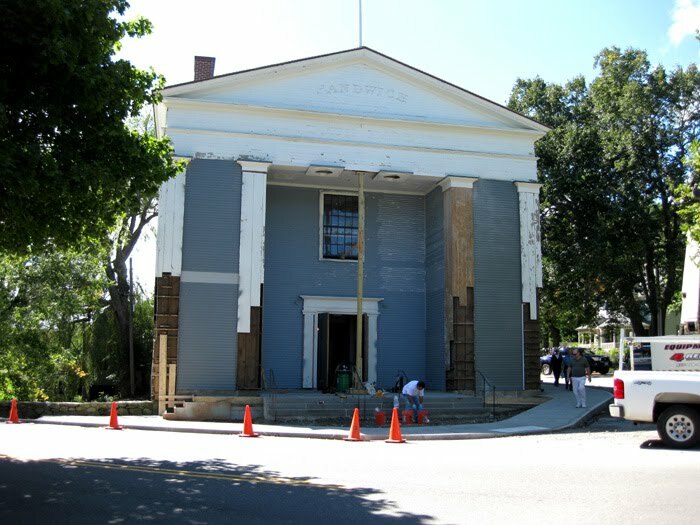 For the last fifteen months, this historic 1834 building has been undergoing a total restoration. The contractors have been racing to complete the project in time for the scheduled October 2, 2010 re-dedication ceremony. When construction of the original building began in 1834, I am sure the Hall family members, at what was at that time 118 Franklin Street, heard the construction commotion every morning just as I have this summer. 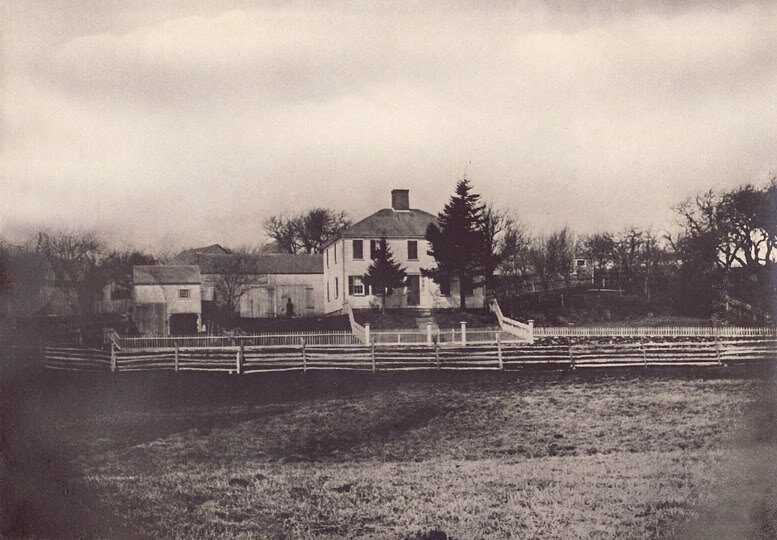 The historic building that is now the 1750 Inn at Sandwich Center was already almost 75 years old at that time. This year, 2010, we are celebrating the 260th anniversary of this lovely historic home. Our anniversary coincides with the re-dedication of the recently renovated Sandwich Town Hall. Both buildings are located in historic Town Hall Square which has been designated a place of historic significance by the National Registry of Historic Places. With the re-dedication ceremony on October 2, we will begin a three month long celebration. We will be blogging about the history of our Inn, which is deeply intertwined with the history of Sandwich Village. We will share the pictures and memories of past residents, including a few ghost stories. Guests at our Inn during this time may select one of our anniversary specials and share in our celebration. 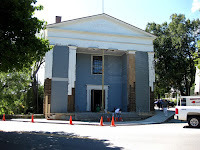 The re-dedication ceremony for the Sandwich Town Hall will take place on October 2nd, 2010 from 12:00 noon until 1:00 pm. in front of Town Hall at 130 Main Street in Sandwich, Massachusetts. Tours of the building will begin after the ceremony. Don’t miss an opportunity this fall and winter to revisit American history by staying at our Inn and strolling around Sandwich Village, the oldest village on Cape Cod.